What’s special about business mentoring? How can we enhance the impact this form of mentoring has on national economies? Dr Riza Kadilar is President of EMCC International. He has a PhD in Media Economics. After a BSc degree at METU in Industrial Engineering, he obtained his MSc degree at Stanford University (USA), and completed his MBA at HEC (Paris, France). His past professional career includes senior level bank management experience in UK (deputy general manager, Sabanci Bank plc), the Netherlands (management board member, TEBNV), and Turkey. Since 2006 he’s been working for a French international investment banking group as their senior country manager and representative for Turkey. Prior to taking up his role as EMCC President, Dr Kadilar was the president of EMCC Turkey. 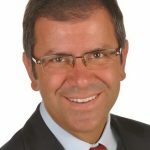 He has provided executive coaching to a large number of executives in Turkish business environment, delivered on many coaching programmes, and has advised in setting of up mentoring programmes for various leading institutions. He is an assessor/verifier for European Commission Executive Office for SMEs, and a visiting professor at two leading Turkish universities. He is a scientific committee member at Institut du Bosphore (Paris), and a trustee and board member at Hisar Education Foundation (Istanbul). He regularly speaks at international conferences. He is the author of five published books in Turkish on executive coaching, is an editorial board member of “GTR: Global Trade Review”, a London based leading trade finance magazine. Dr Kadliar is fluent in French and English, is married to Pelin, and is proud father of Kardelen. He currently lives in Amsterdam in the Netherlands. Arancha García Pérez After an extensive experience as HR Director in Spain and Portugal, as an strategic Member of different Executive Leadership Boards of Director in several of the most innovative and avant-garde Biotechnruological and Pharmaceutical Companies such as Gilead Sciences, SANOFI and Genzyme (a SANOFI Company nowadays), Arancha has decided to focus on her passion: Sharing and Influencing professionals on their personal and professional Development, as a Business Talent Mentor and Human Capital Development Strategy Consultant. She runs now her own Human Capital Development Strategy firm CLAVEESTRATEGIA S.L. and collaborates with the well-known Executive Search firm Prinzipal Partners – Friisberg & Partners International as HR Strategy and Professional Development Strategy Consulting Director. She is also one of the best rated Lecturer and Faculty Teacher at EPHOS School of Pharma Studies and EAE Business School, teaching Global Management of Work Capital, Talent and Development Strategy, Leadership, Managerial, Negotiating and Influencing skills, to Executives and new Post-Graduates to understand the basis of Multi-national Companies cultural needs, HR strategic approach, behaviours, values, aptitudes, and attitudes needed to develop into the incredible Leaders they already carry inside. Apart from her strategic vision and excellence on designing upon real business needs, and most of all, motivates and encourages the audience extracting the best from them and creating and extraordinary development environment. Arancha is President of AMCES in Madrid (Spanish Mentoring Association) and is a member of the Board at EMCC Spain. 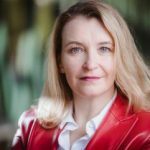 She firmly supports and advocates for Mentoring as the best fast pacing development tool there is and encourages Organisations and Professionals to foster it. 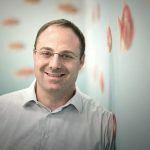 Marc Kahn is Global Head of Human Resources & Organisation Development at Investec and is based in London. He is a Chartered Business Coach, Clinical Psychologist and the author of ‘Coaching on the Axis: Working with Complexity in Business and Executive Coaching’. Marc has been with Investec since 2008. Prior to that he was managing director of a consulting house (subsequently acquired by EY) which specialized in large scale organisational and leadership development programmes, executive coaching, and business facilitation services. He began his career as a clinical psychologist in private practice, where for nine years he focused on adult psychotherapy as well as psychological assessments for medico-legal cases, for which he regularly gave evidence as an expert witness in the High Court. Marc speaks regularly on the subjects of leadership, culture, business coachin,g and behavioural science in the workplace. Carles Massot Cardona is the Network Manager of Youth Business Spain, based in Barcelona. He has a degree in Law and Business Administration, as well as a continued training in the entrepreneurship and marketing field. He began his career as auditor but soon realised he was due to contribute to the world’s improvement working in the Third Sector. He has over four years of experience in the entrepreneurship field and has been running a specialised blog for two years. 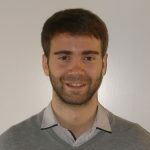 Carles coordinates the Youth Business Spain Network since 2016, being in charge of managing the relationship with its 10 local delivery partners and the strategic partners, as well as preparing, monitoring, and justifying all its national projects. Prior to that, he worked as a business consultant in Autoocupacio, an NGO specialising in entrepreneurship and start-ups. Boris Tkachenko is CEO of Youth Business Russia (YBR) and CEO of The Mentoring Institute (MI) which he set up in Russia. YBR are a long term member of the Youth Business International (YBI) network, where he sits on the International Network Strategy Implementation Steering Team, and the YBI Mentoring Steering Committee. He has been designing and delivering mentoring programmes for the past 10 years and works as both a mentor and mentee, an organisational consultant and a coach. He has also spent time as a physiotherapist, lawyer, microfinance expert, partnership broker and social entrepreneur. Boris’ experience includes 26 years in the world of small and medium-sized business development, and 10 years working within the field of youth entrepreneurship and mentoring in entrepreneurship development. He is co-author of the brochure ‘Mentoring in entrepreneurship’ (2013) and a moderator and speaker at international entrepreneurship and mentoring events. 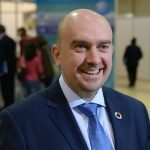 He was one of the first emerging mentoring experts in Russia and developed mentoring programmes within 11 regions and has supported other YBI network members in Serbia, Mongolia, Kazakhstan, Kyrgyzstan, Uzbekistan, and Armenia to create and grow mentoring programmes. He has provided expert support through MI to Google Russia and Sberbank Russia’s online programme ‘Business Class’ and the acceleration program ScaleUp. Boris was commended in 2014 by the Ministry of Economic Development of the Russian Federation, in 2015 by the Chamber of Commerce of Russian Federation for his contribution to the development of mentoring in the SME sector in Russia. In 2014 Boris was awarded the Business Mentor 2014 prize in recognition of his contribution to the development of business mentoring in Moscow.